With courses limited to just eight places, this means there are more cameras per course than students - including our flagship camera, the Sony FS7 - meaning you'll never be without a camera at hand to capture that perfect moment. 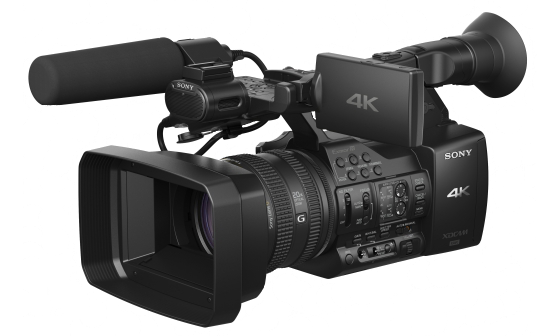 The PXW-FS7 is one of Sony's newest cameras - and one of its best. Its ergonomic form factor plus its lightweight, portable design means it is easy to carry up hills in search of wildlife! Key specs include 4K (4096 x 2160) resolution, 180fps, 600Mbps internal and raw external recording. It also boasts an incredible 14 stops of dynamic range giving it an ultra cinematic look and a native sensitivity of 2000 ISO, meaning fantastic low light performance too. It's not hard to see why it is quickly being adopted by companies such as the BBC. Channel 4 are ditching their more expensive cameras in favor of the FS7 simply because it matches or even beats them for performance and at a fraction of the cost. The recording format is XAVC, which was first used in the PMW-F55 digital cinema camera. As with the F55, 4K (4096 x 2160) 60p 4:2:2 10-bit recording is possible at a high bit rate of 500Mbps or 600 Mbps. QFHD (3840 x 2160) and HD (1920 x 1080) resolutions. We have spent a long time investigating the camera market and after much research, deliberation and a lot of actual hands on experience (we have been using this camera on our courses for over 1 year) with the FS7 and all of the other cameras available, we are confident that this is simply the best choice for not only the UK Wildlife Film School but all-round, this is an outstanding cameras. • The photo above shows our Sony FS7 4K Cine camera fitted with a Fujinon ZK25x12 Cine Lens (Sponsored by Fuji Film); our Tilta 6x6 Matt Box (MB T-06) & our Tilta Follow Focus (FF T-05); and our Atomos Shogun Flame (4K Field Recorder) sitting on our Sachtler S18 Tripod. The Sony Z100 makes for a wonderful B-camera, when filming wildlife (and for a many people would be an excellent choice for your principle camera) as it not only films in 4K but also sports a internal 600mm lens (35mm equivalent). 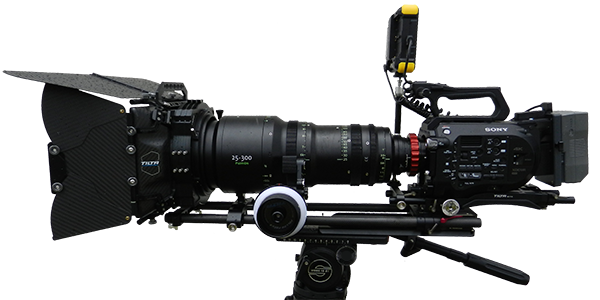 The recording format is XAVC, which was first used in the PMW-F55 digital cinema camera (and is used in the Sony FS7). As with the F55, 4K 60p 4:2:2 10-bit recording is possible at a high bit rate of 500Mbps or 600 Mbps. QFHD (3840 x 2160) and HD (1920 x 1080) resolutions, which have high compatibility with 4K TV. At the UK Wildlife Film School we like to offer our students as many multiple options as we can, so they can make an educated decision in reference to making a purchase. An external 4K lens (£30,000+), a set of Lens support bars (£3000), a heavy duty tripod capable of supporting all this weight (£7500) with the whole system will weigh approximately 20Kg.. The purchase of a Sony Z100 has a build-in 4K 600mm lens, no need for Lens support rails and a tripod that only needs to support 4Kg making its lightweight, portable design extremely easy to carry up hills in search of wildlife. The Alpha 7R Mk.2 is a game changer for film-making. 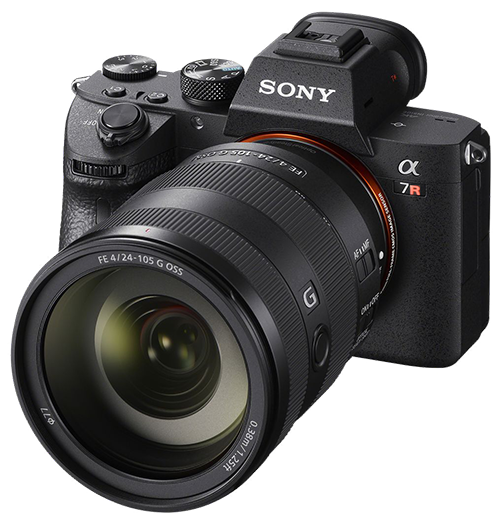 With the world´s first back-illuminated 35mm full-frame CMOS image sensor with 42.4 megapixels, the Sony A7R Mk.2 takes image resolution, sensitivity (up to ISO 102400) and speedy response to new heights. it packs incredible 4K video features into a tiny package, enabling ultra wide angle views for landscape vistas and facilitating it's unrivaled low light performance. The Fast Hybrid AF system´s dense extra-wide focal plane phase-detection AF coverage keeps a subject in sharp focus entirely throughout the frame, while 5-axis image stabilization reduces blur which otherwise tends to affect hand-held shots. With an insane maximum ISO of 409,600 and incredible noise handling, this camera enables you to keep filming later into the night and start earlier in the morning than any other camera currently available - ideal times of the day to film the wildlife. 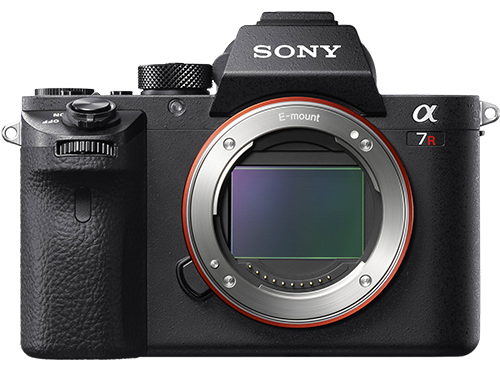 Furthermore, the Sony A7R Mk.2 has 4K video recording capabilities, as well as slow-mo up to 120fps and a dynamic range of 14 stops, meaning it's a perfect combo with the Sony FS7. • The Photo above shows the Sony A7R Mk.2 fitted with a Sony 300mm G-series Lens. Ariel photography and film use to be the luxury of serious documentary filmmakers with a serious budget… not any more. For 2019 we have decided to up our game and update our Quadcopter from a DJI Phantom 4 to a DJI Inspire. Our main reason for doing this is the DJI Inspire can be operated by two different remotes at the same time; therefore, unlike the DJI Phantom where you had to fly the quadcopter whilst steering it to point the camera in the correct way; the DJI Inspire can have one operator operating the flight of the quadcopter, whilst a second operator independently steers the camera to film you intended subject. The DJI Inspire lifts the art of ariel camera operation to a whole new level. The carbon fiber chassis lifts up out of the way of the camera offering a true 360 view of your surroundings. Whilst filming in 4K a live full colour video image is streamed back to you live, so you can see at all times exactly just what you are filming; and with a minimum flight height of 1 meter and a maximum flight distance of 5000 Meters, with the DJI Inspire, the sky is the limit, literally. 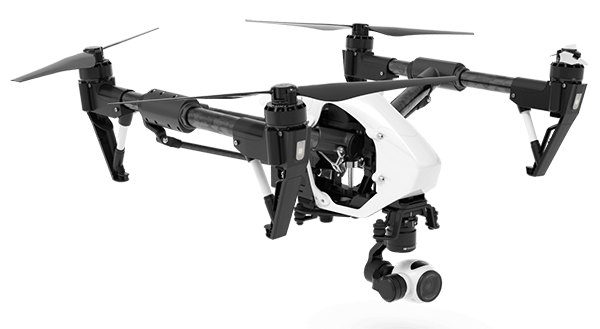 We are sure you will agree the DJI Inspire will be an extremely useful tool in any documentary film-makers toolbox. 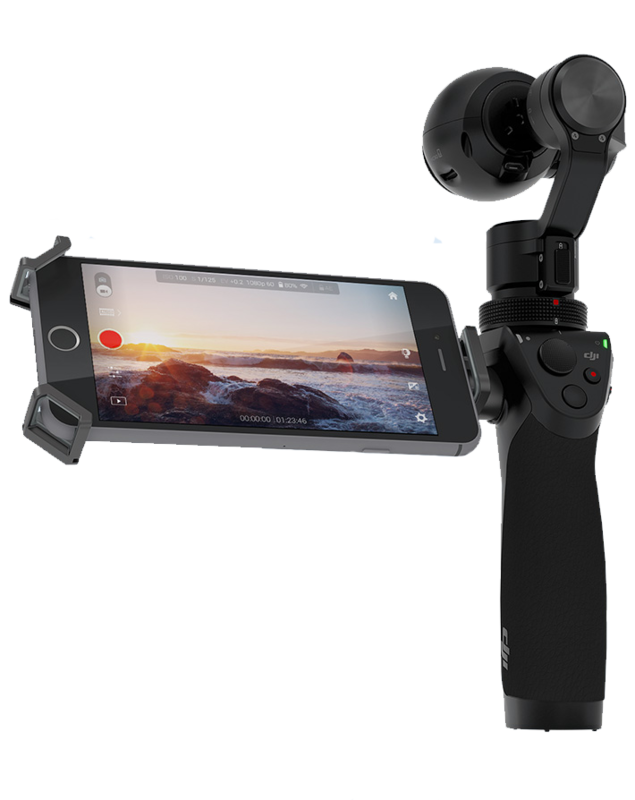 The Osmo´s fully automatic electrically operated self-leveling gimbal supports and amazing fixed focus 4K camera head. The unit is fully self-supportive offering truly ´bump free´ flowing footage with continuously levels horizons to anyone operating it. Not only this, but it also has the option to move the camera head in any direction by a simple operation of ´touch and drag´ via the attached video monitor… effectively turning the whole system into a remote controlled video headed camera, and operating via Bluetooth technology this can be operated up to 100 meters away from the operator. GoPro revolutionised wearable action cameras with its original Hero camera. 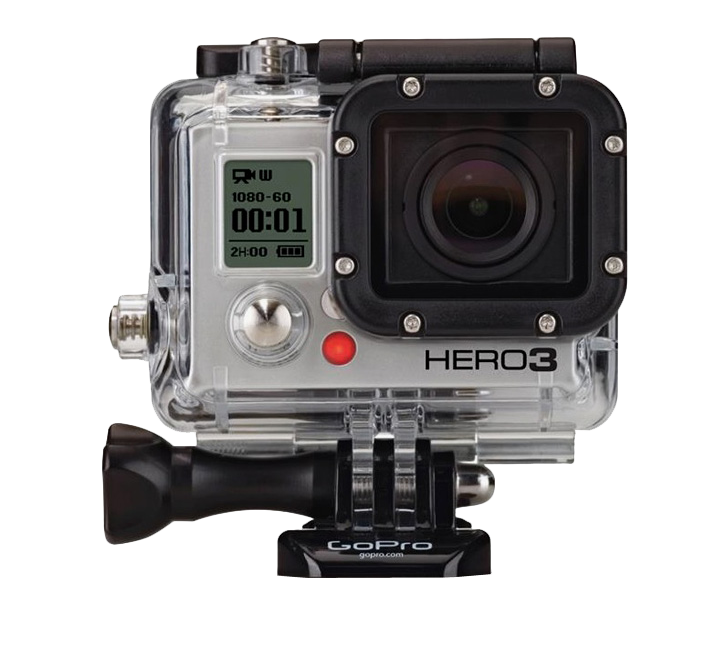 Now, the Hero 3 Black Edition brings incredible image quality (4K resolution and up to 240fps) into a tiny, waterproof, near indestructible package. Whilst it of course is not the main camera used on the courses, it´s not even the most uptodate model; its skill set and versatility still mean it can do things no other camera can. Such a small, lightweight camera, it's a no brainer to bring along as you never know when it might come in handy! We have a total of 3 of these cameras, with all the accsessories that come with them. One of the camera movements often used in television / film production is a slide. This moves the camera slowly and smoothly from point A to point B. These points are not often far apart, and the movement is often used to show peace and tranquility or the passing of time. For example : The images often created are, slowly moving through trees back-lit by bright sunshine or the camera appearing from behind an object, to fully reveal a wider view. 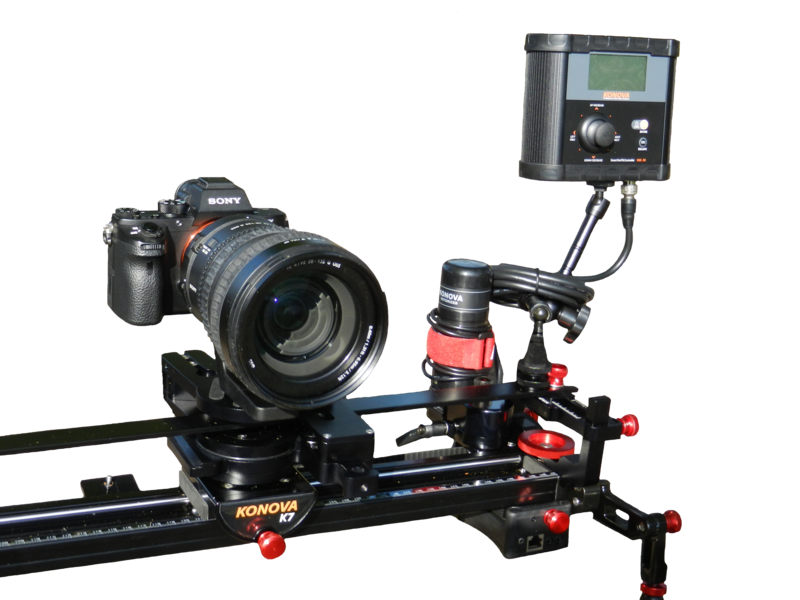 The K7 slider also comes with Konova´s computer controlled movement controller to precisely control the position of the camera on the slider, whilst 3 different speed motors allow the camera movement to be fast, medium and slow. We also have a `Pan & Tilt´ bar which rotates the the camera as it slides from point A to Point B whilst keeping the center of the frame targeted on a single central point / item. • The photo above shows our Sony A7R Mk.2 fitted to the K7 Slider. Atomos manufacture a wide range of Video Monitoring equipment and recorders for use in all genera´s of production, from high-end cinematic rigs to DSLR single camera operators. Atomos are supplying a range of equipment for use during our courses; allowing off-camera recording in 4k. 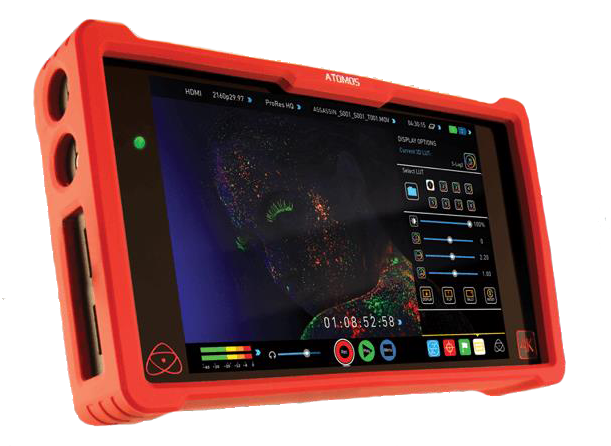 Multi HDMI connection, XLR Audio input, Time-Laps Recording, Pre-roll, and other monitoring functions like LUT´s, Waveform, Vectorscope, Focus Peaking, RGB Parade and False Colour. 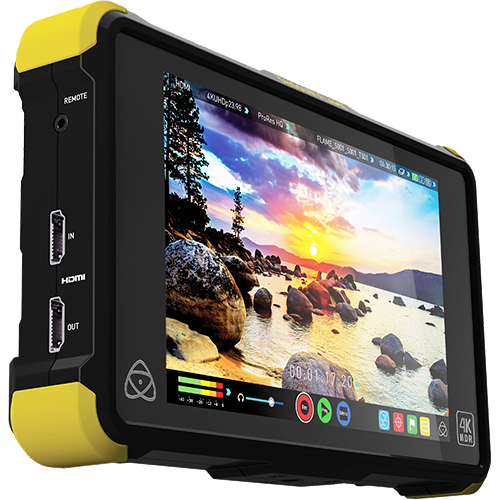 Furthermore, as part of our Sponsorship agreement, Atomos are offering an additional 25% (educational) discount on all Atomos equipment purchased by students that have attended one of our wildlife film courses. 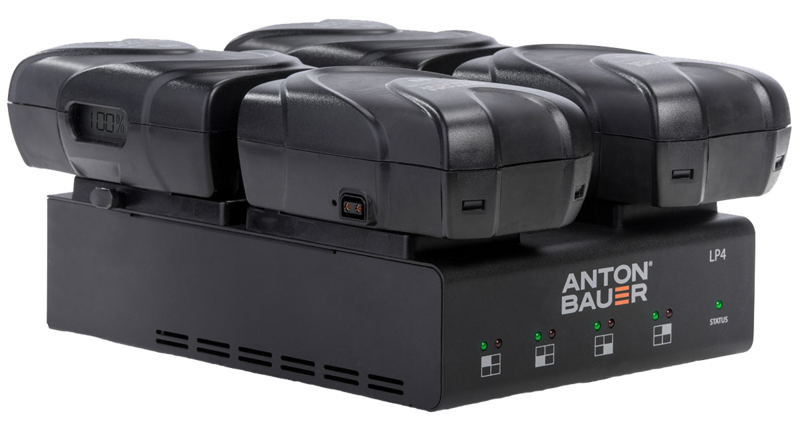 Anton Bauer manufacture a wide range of professional camera batteries and fast chargers for use in both the broadcast and Cine worlds, all fitting ergonomically to the latest high-end cinematic rigs or shoulder-mounted ENG cameras to DSLR single camera operators. 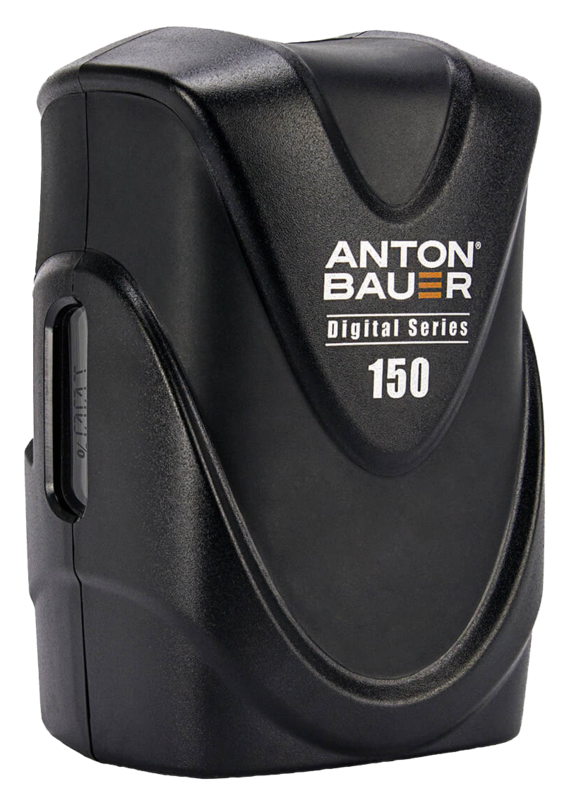 Anton Bauer are sponsoring us a range of equipment for use during our courses; their ´Anton Bauer Cine 150 Gold Mount & V-Mount Batteries´ and ´Digital 150/190 Gold Mount & V-Mount ENG Broadcast batteries´ as well as their ´High Performance Quad Gold Mount Charger´ for the range of Cine batteries and the ´LP4 Gold Mount Quad Charger´ for digital ENG batteries, allowing you to try out different systems from there Cine range to their ENG Batteries, all of which perform to the max out on location.